Luiz Antonio Nabhan Garcia, president of the Democratic Association of Ruralists, said on Wednesday (24th) that a supposed merger between the Agriculture and Environmental ministries, in an eventual Bolsonaro government, could be reviewed. The leader had a quick meeting with the candidate, accompanied by 40 farmers. 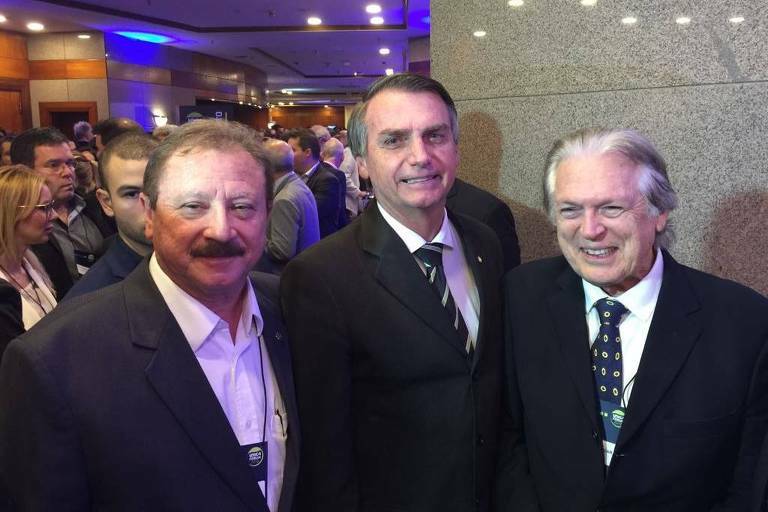 Bolsonaro met last week with representatives from the Parliamentary Front For Agriculture, who were against the proposal. Nabhan Garcia, who is under consideration for the Agriculture Ministry, has always defended the merger, in order to do away with what he calls "fine industry" within the Environmental Ministry. Before the meeting with Bolsonaro, he said the merger was a "very well received idea" and "it had to happen anyway", due to the candidate's promise to reduce the number of ministries to 15. But as he left Bolsonaro's house, he said that the measure wasn't set in stone. "Yes, we can review the merger between Agriculture and Environment. If they need to function separately, it's ok. The will of the majority will prevail. If it's better for our country, we can review our position without any problem." Nabhan Garcia denied that he was backtracking from his initial position. "If we need to be more flexible, we will be more flexible. Or do you want an authoritarian government?" he said, as he was leaving Bolsonaro's gated community, in Rio de Janeiro.